If our memory is the thing that shapes and defines us, that informs who we are at our very core, then God help us all…for memory, is a wicked and deceitful wretch. Thrust into a search for his own sister’s killer, Benjamin Cady flees Colorado and the only world he understands to scour the streets of Los Angeles, plagued by headaches and memories of murder. He quickly discovers that L.A. is not unknown to him, and as his memories of his sister’s death become clearer, so does the possibility that Ben himself may be the murderer. Lieutenant Jim Banquer has plenty of bodies, but every witness seems to be suffering from a mysterious form of amnesia. Investigating these deaths means he must piece together the scattered shards of a deadly power scheme that goes well beyond murder, and Ben is the key. 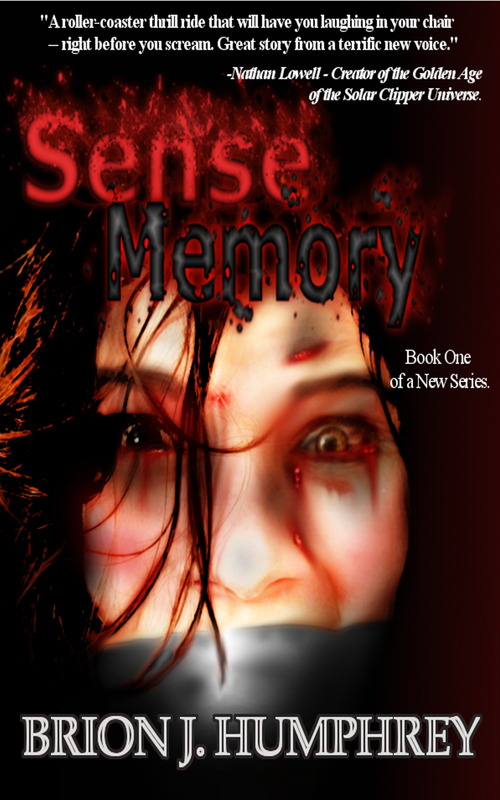 Sense Memory is a psychological thriller that weaves an intricate web of doubt and intrigue as it goes, leaving no thread unstrung. A sure page-burner, this story will stay with you long after the smoke clears. What others are saying about Sense Memory. Nathan Lowell – Creator of the Golden Age of the Solar Clipper Universe. Loved it, great concept. Hope there’s more to come with Ben, Banker, Sonja, and Jack (who I think should have his own novel). This story had may attention from the very start. I must have more. I love how the story was told from different point of views of each character. Very well written. Like i said i need more need. I have looked up and tried to get more from Brion J. Humphry but haven’t found anything yet. I would be good also if he could ready some others too. I find the voice and the way he tells the story very inviting. Love this book!